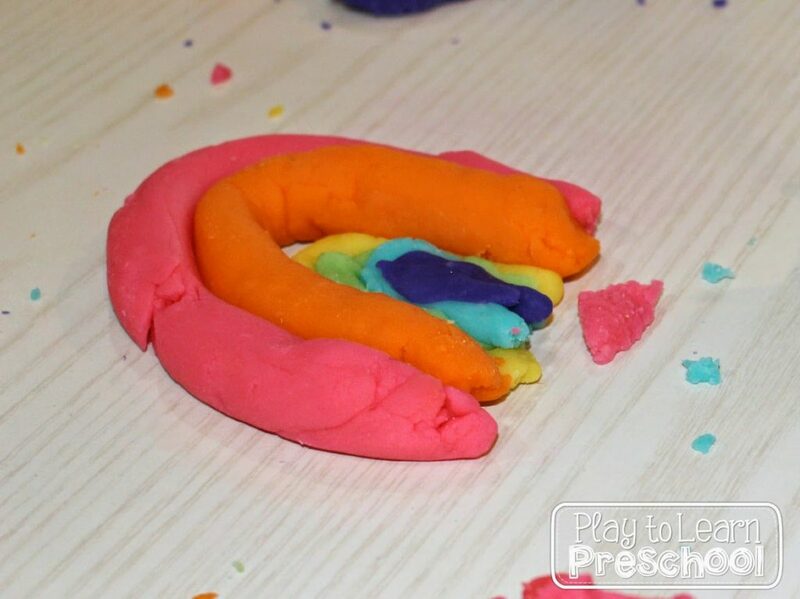 Like most preschool teachers, I have tried a hundred different play dough recipes! Store-bought play dough is expensive, especially for the number of children who play with it, and I don’t love the smell or texture. So, even in my early days as an undergraduate education student I always experimented with homemade play dough. 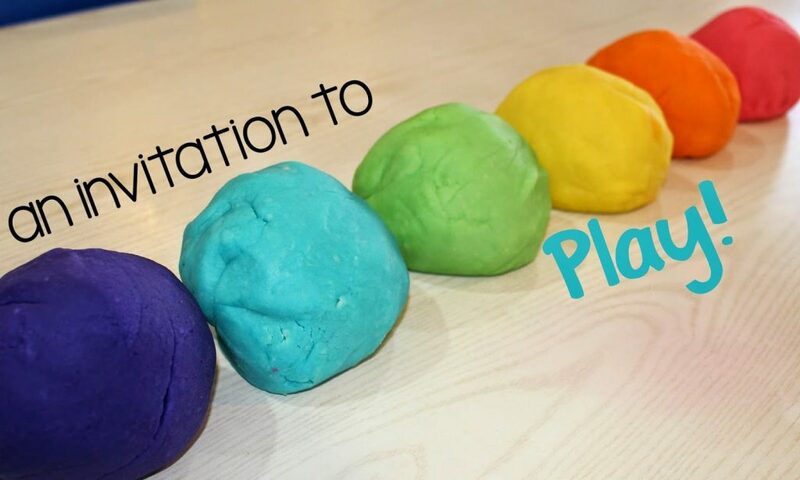 I make a new batch of play dough for my classroom every month. Sometimes we add kool-aid, cocoa powder, essential oils, or pumpkin pie spices! It’s fun to just make a plain batch, though. That’s what we have for March– 6 colors of the world’s best play dough! Don’t you just want to touch it! 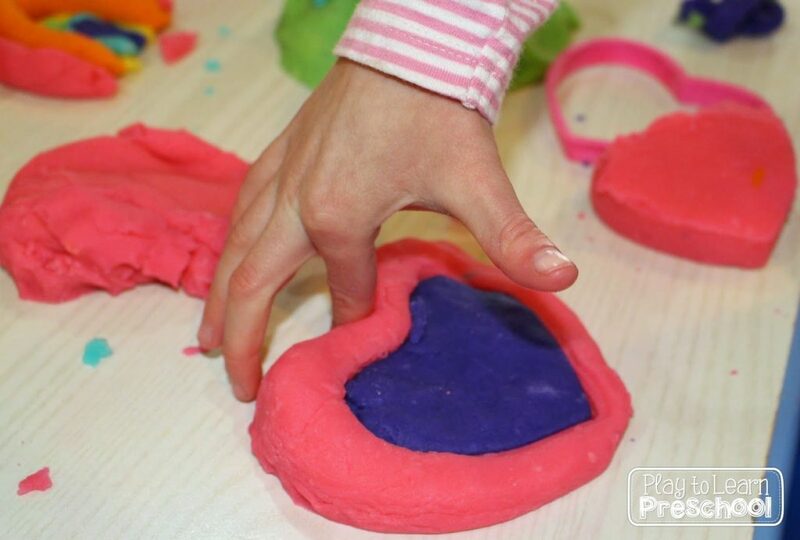 I love this play dough because it is so soft (and easy for little hands), it lasts for ever, and the texture is not sticky or crumbly. 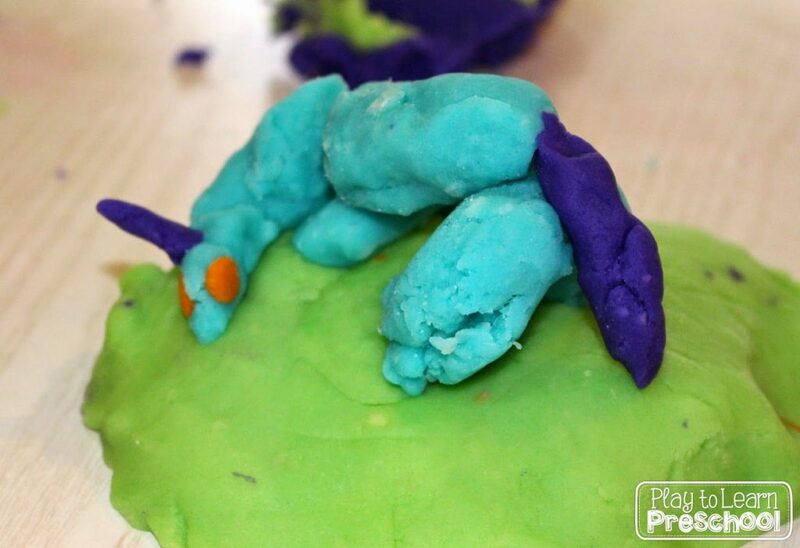 Now, there are 2 “cons” to this playdough: it has to be cooked on the stove and it requires cream of tartar. The cooking part is quick, and I buy big containers of the tartar in the Target brand. 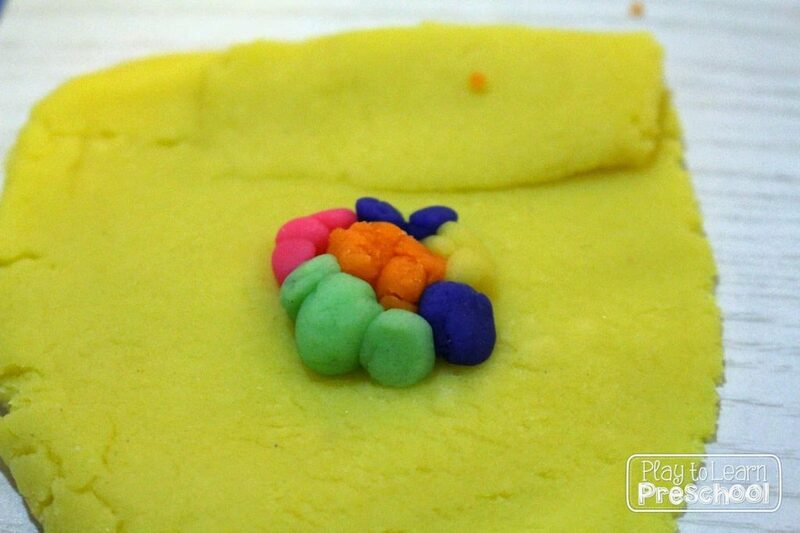 When I want to make play dough with the kids, I try a no-cook version, but this one is still our very favorite! The students loved the assortment of colors at this invitation to play. And this, of course, is a unicorn. We have heart cookie cutters in a number of sizes. This student make a cut-out heart and filled it with another color. How smart! So, here it is. 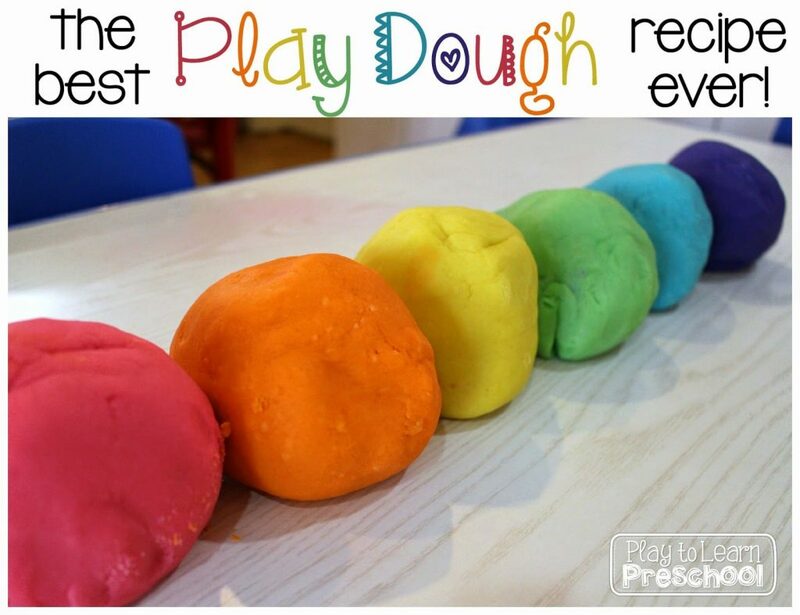 Our #1 favorite, best play dough in the world recipe! Mix all ingredients together, and cook over medium heat, stirring constantly. When the dough forms and pulls away from the sides of the pan, remove from heat. Knead the dough until it’s smooth! Enjoy playing with your children today. I use this recipe with my class. We use an electric skillet. They measure all of the ingredients, and then I turn it on and stir with the kids at a safe distance. I also get cream or tarter in bulk from a nearby Mennonite community. That's a great idea! I need to check on other sources for bulk cream of tartar. Thanks for the tip!